Client: I don’t understand. What’s this invoice for? Me: It’s for my work: the design of the brochure and the ads. Client: But I paid the printer and the newspaper! UPDATED: An Albuquerque charity is hosting the event where fans can pay their respects to Heisenberg. Those who shelled out big bucks for one of Canon's Cinema EOS cameras will be glad to know they've just been blessed with a significant firmware upgrade. Owners of the EOS C500, C300, C100 and 1D C 4K models will all see a huge increase in light gathering, with the maximum ISO jumping from 20,000 to 80,000. That's one of the highest ISO settings on a pro camcorder, and you'll now be able to roll through the entire ISO range in 1/3 stop increments instead of a full stop at a time, too. Meanwhile, the top of the line C500 model will get new DCI-P3+ and Cinema Gamut color options, along with a new high-speed, 120fps shooting mode at 4,096 x 1,080. 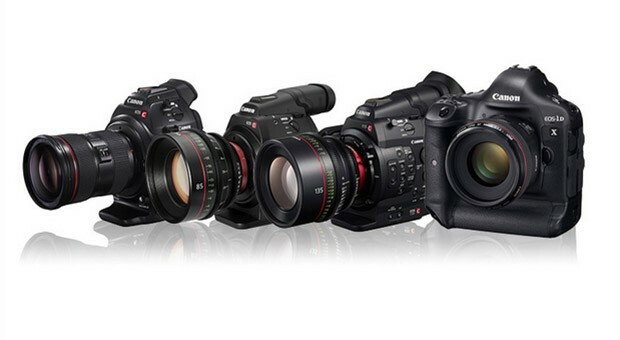 The C300 will also get a new Wide DR color gamut and all the models will get various tweaks and bug fixes. For the finer details, check the source.